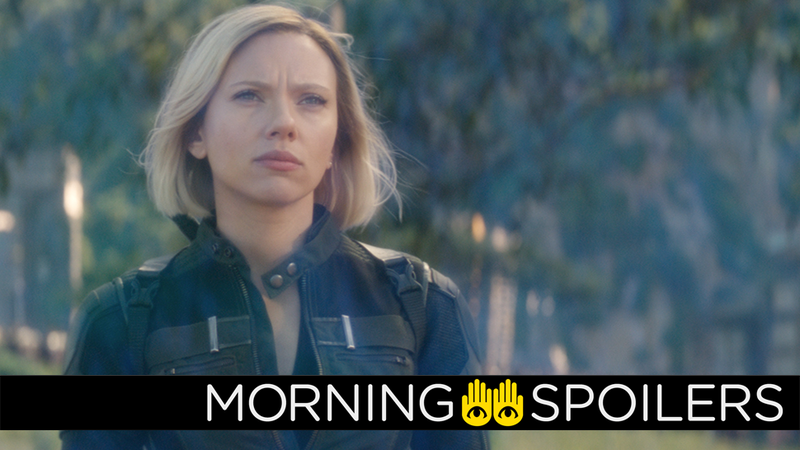 Another day, another host of rumors about the mysterious characters in the Black Widow movie. Doctor Sleep adds another young star. The ALF reboot is dead. The Walking Dead’s showrunner hints at some interesting plans to integrate some key stories from the comics. Plus, the first tiny teaser look at the new Child’s Play, a glimpse at Sabrina’s holiday special, and a giant octopus attacks on Legends of Tomorrow. To me, my spoilers! Deadline also reports Japanese actor Shun Oguri is set to make his Hollywood debut in Godzilla vs. Kong. No details on his character are available at this time. Meanwhile, Screen Rant has the film’s official synopsis. I had a script written. Jason [Blum] liked it, and Chris Columbus liked it too, but I tossed it. I had a different idea for it, one that I liked better. I take responsibility for this delay; it’s my fault. Warner Bros. has secured the film rights to Reed King’s debut novel, FKA USA, concerning a factory worked tasked by “the final president” of the United States to deliver “a talking goat across the continent” with the aid of an android and a lobotomized ex-convict. According to Deadline, King’s book isn’t set to hit shelves until June 2019. /Film has the latest poster for the Child’s Play remake, revealing Good Guy dolls have now been rebranded as Macintosh-inspired “Buddi” dolls. Variety reports a TV series based on Glenn Cooper’s Library of the Dead trilogy, concerning an FBI agent solving arcane mysteries in a library under an ancient monastery, is now in development. The CW has set midseason premiere dates for its roster of genre programming. A sizzle reel for Netflix’s holiday programming includes footage from The Chilling Adventures of Sabrina Christmas special. Finally, Netflix has also released a trailer for the new season of Mystery Science Theater 3000, in which the gang is subjected to Mac & Me, Atlantic Rim, Lords of the Deep, The Day Time Ended, Killer Fish and *gasp! * Ator: The Fighting Eagle.